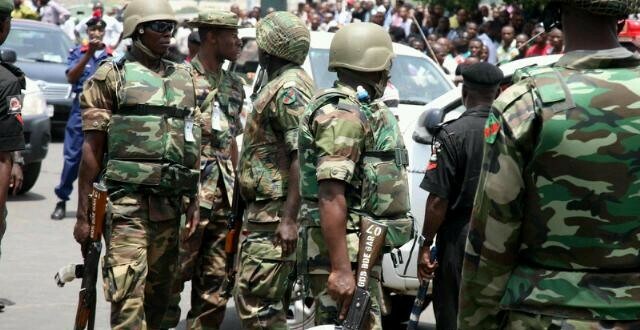 Disturbed by the avalanche of breakup threats emanating from many parts of the country, Nigeria’s security agencies have vowed robust response to the promoters of inciting and hate speeches to save the country from disintegration and chaos. Similarly, the security agencies have warned Nigerians to be wary of any attempt to dismember the country but to do all within their powers to keep the nation as one united, cohesive nation. The decisions were contained in a communiqué released by the DSS at the end of a two-day seminar with the theme: “Unity in Diversity: Security and National Development” organised by the agency at the Institute of Security Studies, Bwari, Abuja. The event was declared open by the Acting President, Prof Yemi Osinbajo and attended by former Nigerians leaders, including Gen. Yakubu Gowon. The communiqué, which was made available on Friday night, made far-reaching recommendations on how to ensure national unity and development. The document maintained that the current challenges to national unity and stability were caused by false claims of marginalisation and attempts by persons trying to corner undue political capital on themselves. It also noted that ongoing claims of marginalization and calls for restructuring are often driven by self-aggrandizement, posturing for relevance, poor governance outcomes, political ambition and unpatriotic agenda of some persons. The document noted with concern that Nigeria’s federalism was being threatened by rent seeking, unproductive behaviour, inefficiency in governments and revenue generation efforts, non-viability of states and local governments, high cost structure of governance, the unproductive basis of revenue sharing, growing inequality between resource endowed and non-endowed states which is incompatible with national unity and equality. The participants at the security meeting admitted that the current security challenges are quite extensive and require a review of national security architecture to include security sector reform, national security coordination and communication and establishing a centralised data bank. The document recommended, “Security agencies must firmly discharge their constitutional roles and continue to ensure the safety of lives and property while the citizens should be more responsive and participatory in matters of security as well as hold people in authority to account. “The current challenges to national unity and stability are partly founded on false perceptions and narratives of marginalization. “The freedom to express grievances and agitate for diverse causes cannot be absolute and should never extend to hate speeches and threats that hurt sensibilities of other groups and threaten the security of the nation. “It is in order to address these issues that shareholders advised that governments at all levels have to engage with agitators, provide platforms for mutual interactions and understanding and build broad consensus and agreements for resolving the challenges. “Good governance and visionary leadership would reduce citizen frustration, create sense of belonging and improve patriotism and contentment. “Nigeria has to muster the political will that is necessary to manage the issues that question or threaten national unity, cohesion and integration. “The issue of moral character, ethics, attitudes, orientations and democratic tenets of self-restraint, tolerance and accommodation in the political class, elite and wider society was underscored. “Nigeria needs firm, autonomous and strong institutions. Nigeria is stronger together as a united nation, and has, by far, greater potentials and possibilities. “Beyond structural streamlining of the sector, there is need to mainstream merit, competence, and integrity in the appointment of personnel for leadership positions. “While rewarding production, there is need to focus more on revenue generation rather than sharing.